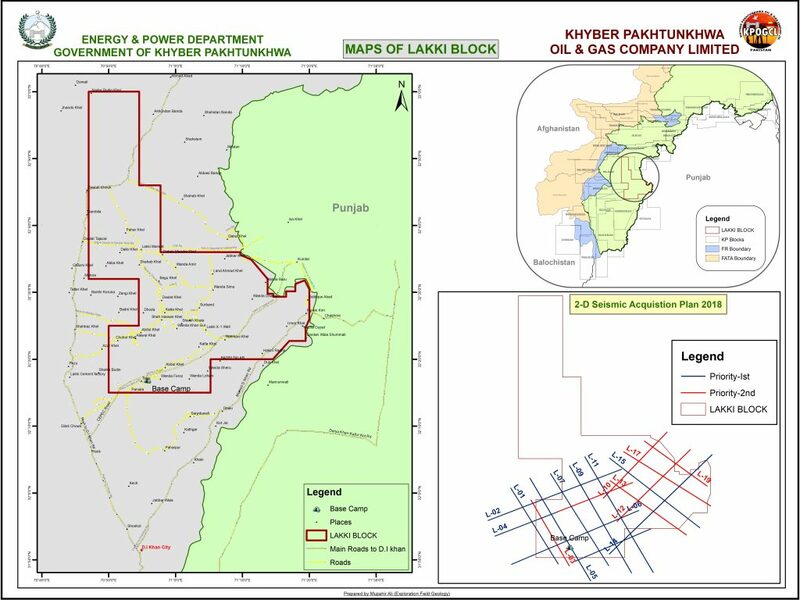 Lakki Block - KPOGCL - Oil And Gas Company Ltd.
Kohat-Bannu Basin has proven and potentially viable Petroleum plays, ranging in age from Infra-Cambrian to Miocene rocks. 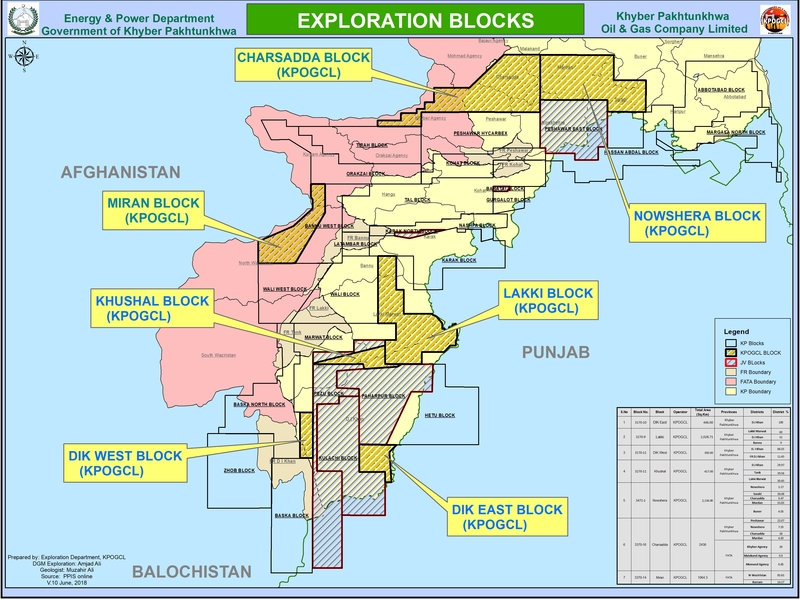 Lakki Exploration Block (3270-9) having an area of 2028.71 Sq.Km, located in Lakki Marwat (60%), D.I.Khan(31%) and Bannu (9%) districts of Khyber Pakhtunkhwa Province of Pakistan (Figure 1). The Block falls in Prospective Zone-I (Figure 2). Based on surrounding discoveries in Kohat-Bannu basin i.e. Chanda, Mela, Nashpa, Makori, Maramzai and Mamikhel, Lakki Block is considered to be prospective. The Block is located about 200 Kilometers South west of Peshawar and 300 km southwest of Islamabad. It is easily approachable by a network of highways and metaled roads from District Peshawar, Bannu, Karak and Lakki Marwat. KPOGCL is looking forward to farm out its 49% working interest to other E&P Companies.to assist KPOGCL regarding Geological, Geophysical and Engineering studies and for initial 1-2 exploratory wells drilling program and production set-up.Work Program has already been started since September 2016 Full program cost (Capex) is estimated at US$ 55 million. The province, Khyber Pakhtunkhwa has a strand of discoveries over the past 15 years, beginning from the Chanda Oil field Discovery in 1999 which was a major breakthrough in oil & gas exploration in the province. This was followed by a series of discoveries and still has lot of potentials.